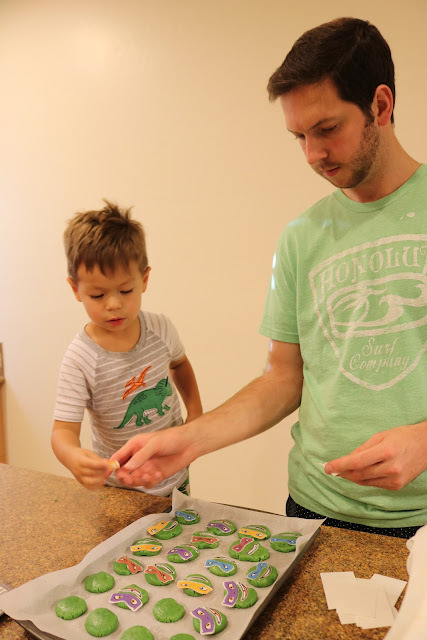 Danny begged us to help him make these "angry turtles" cookies. We finally caved in on a Sunday and made them. He was over the moon. Funny how the little things make kids so happy. PS. Danny calls the Ninja Turtles "Angry Turtles"... in all fairness, they look angry.